Brent North is located in Greater London. The seat was created in 1974 and has been held by Labour since 1997. The current member of parliament is the Labour party’s Barry Gardiner who has served since 1997. I will pledge to follow Douglas Carswell’s example in keeping regular contact with my constituents by also doing fish n chips functions. Ukip and I are different from the establishment. 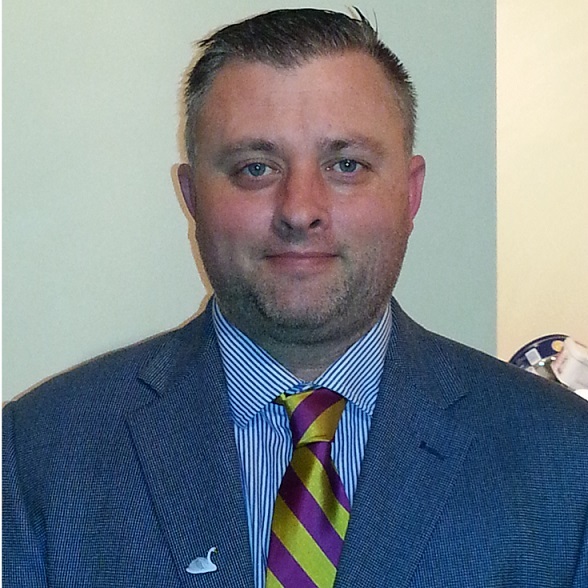 Ukip are campaigning for a complete and proper political reform across the board. My constituence are my total boss. Ukip isn’t answerable to the whip. He has only been successful in towing the labour party line. Austerity is an establishment Clique ruse. The Establishment, Media and Big corporates companies working together to make people in the end dependant. People who work 5 days a week should live well. Millions of people in this country work long hours and are still struggling. It’s time we bring back quality of life. Controlled legal immigration is good and welcomed. Ukip is for this. Cost of living is in a horrendous state. Labours record in debating it is appalling, not many MP’s turn up. Uncontrolled immigration is contributing to wage compression. Labour gave away our control over energy to EU signed off by Ed Miliband. Ukip will stop further use of PFI in NHS which Labour blew a £300bn hole in . UKIP will ensurethat GP’s surgeries are open at least one evening per week,where there is demand for it. UKIP will replace Monitor and Care Quality Commision with elected county health boards o be more responsive to scrutineers of local health services.These will be able to inspect health services and take evidence from whistleblowers. UKIP would end zero hours contracts which was brought in by Labour via EU directive. Ukip would create an Australia style points system. UKIP will propel students by removing tuition fees for students taking approved degrees in Science, Technology, Engineering, Maths and Medicine. UKIP will increase personal allowance to level of full-time minimum earnings to £13,600 which will release decades of trapped families from low earnings category to dignity. Parliament and house of Lords lacks representation from real world. MP’s on recent documentary stated parliament hasn’t done what it’s supposed to for 30 years. Encourage to vote out because Britain must make its own laws. Trade better with rest of the world. Scott’s originally from Cornwall and has lived in Brent for 6 years. He left school at 15 to work many different jobs before buying a business at the age of 21. Scott went back to college and onto university where he gained a first degree in Psychology & Human Rights and a Masters in Intellectual Disabilities & Developmental Disorders. Scott works as a psychologist in the NHS & for the past 6 years his work has entailed supporting people to develop the skills to claim their rights and looking at how services can change to protect peoples rights. Scott is a member of the UK Society for Behaviour Analysis, the Association for Positive Behaviour Support and the British Psychological Society. 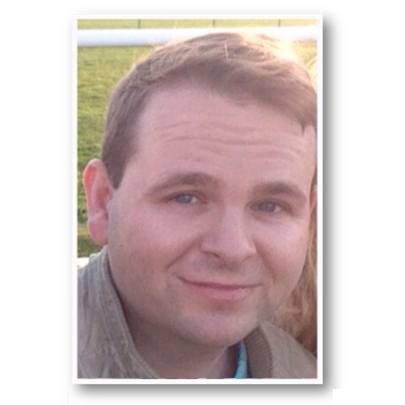 Scott’s lives in Mapesbury Ward, Brent, where he stood as a Green candidate in the 2014 local elections and gained 8% – one of the highest results for an individual Green Party Candidate in the constituency. As Greens we wish to be attentive to those that are rendered invisible by the political process. I recognise the paradox of a white-British-male advocating candidacy to parliament when this demographic has long been visible. Yet we understand that diversity is comprised of multiple factors as such our values suggest the importance of striking a balance between differing and unequal voices. Although white-British, I hold Cornish identity; ‘officially’ recognised by the government in April 2014, but subjugated (with the other Celtic nations) for over 500 years. Whilst Male; raised by a single professional mother I am a feminist & embrace the struggle for gender equality. In wishing to challenge the 1%, my perspective is taken from being raised in the 5% of UKs most deprived areas. Oppression & marginalisation can transcend boundaries; but I am not so naïve as to assume that the lived experience is of equivalence. As your candidate I would join in solidarity with organisations and movements for social change within Brent and work towards sharing their knowledge and talent to challenge oppression and strive for social change. In an episode of The Simpson’s Homer makes an offering to God of milk and cookies and says “If you want me to eat them for you, give no sign”. As Homer receives no sign he happily eats the cookies. This is the relationship that our elected politicians have with the electorate “if you approve, give no sign”. As the public often doesn’t give any sign (a mere 12% of people contacted an elected representative in 2014) the politicians will eat the cookies. These cookies represent scandal after scandal (#Cash4Questions, Cash4Peerages, #Cash4SecondHomes, #Cash4Duckhouses, #Cash4Access) and it should be our responsibility, as we are all part of the electorate to ensure it is we that keep in touch. The easiest way to contact your elected representatives is via the website http://www.writetothem.co.uk and I’ll advocate that people keep an eye via websites such as http://www.theyworkforyou.co.uk to say say loudly what they think. Last January I counted myself amongst the 75% of young people that didn’t trust politicians. It’s no wonder growing up in a mining town that was decimated by the Thatcher government, watching as a teenager the Labour Party attack our civil liberties and take us to an illegal war whilst later feeling the impact of the LibDems U-Turn on tuition fees. Since graduation and working as a Psychologist I’ve been trained to recognise injustice and I couldn’t help but notice that decisions from local and national governments were not helping. As such Psychological interventions on their own can’t improve people’s welfare and it is for this reason that I joined The Green Party. Human Rights underpin Green Values and I believe that as a Graduate of both Psychology and Human Rights I have the skills to combine the psychological with the political to challenge the status quo. 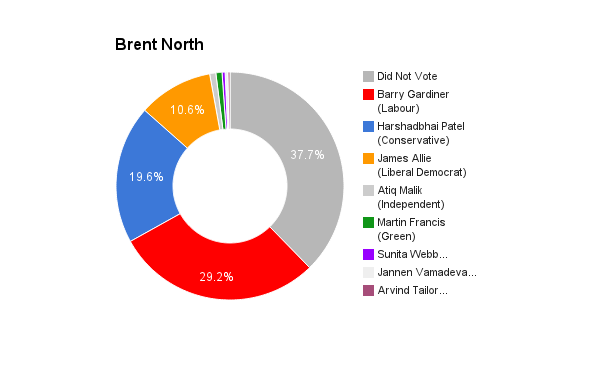 The current member of Parliament for Brent North is Barry Gardiner. A positive thing he has done for the environment has included voting against selling England’s forests and for animals voting against the badger cull and drawing attention to the issues affecting pollinators. Barry’s voting as can be found on http://www.theyworkforyou.com shows he’s also been successful at contributing to the disillusionment people have with politics today. A special envoy for environment and climate change that only voted moderately for measures to reduce climate change. Part of a party that claims it wishes to crack down on tax avoidance, yet Barry voted strongly against measures to reduce it. Barry is what they call a ‘Blairite’ and voted strongly for the Iraq war and very strongly against an investigation into it. Barry also voted strongly for measures which impact civil liberties, ID cards and a communications database to snoop on the public. If the purpose of ‘Austerity’ is to reduce the debt, then from the governments own statistics it’s not worked as George Osborne has increased the debt more than Labour did over 13 years in power. If however, you recognise ‘Austerity’ as what it is – an excuse to do what they have always wanted – to shrink the state and sell off and privatise our public services such as the NHS and Royal Mail then it has been a rip-roaring success. Austerity has been very successful in showing that we can’t trust them as they have shown time after time again that they are not interested in helping ordinary people. We’ve learnt that our economy is a casino and we need to reform it to make it stable and useful, cracking down on bankers bonuses and the £billions lost through tax avoidance and ensure it goes where we need it. As a Cornishman I’m from part of the UK which spends its time looking out to sea. It was once said that wherever in the world there is a deep hole, you would find a Cornishman at the bottom of it. Migration is as natural as the tide and it is understandable people to wish to seek a better life. We must remember a couple hundred of years ago it was the British that were moving all over the world and as the famous response in the 1970’s to racists goes: “We’re here because you were there”. Around the world decisions made by our government are still affecting people. From our foreign policy rendered inconsistent due to our colonial past to climate change; caused by rich countries such as ours which hits the poorest hardest. If the gulf stream diverts it could be us moving again so let’s be welcoming. Those who have the most pay the least back to society. Levels of inequality in Britain today have reached epic levels. Food banks coexist with Ferraris. A resources boom at the top feeds a cost of living crisis at the bottom. In May 2014 analysis by Office for National Statistics data by The Equality Trust revealed that the richest 1% of British households have the same amount of wealth as 54% of the population. With a resources boom at the top and a cost of living crisis at the bottom we think the time has come to introduce a tax on wealth to ensure the richest pay their fair share back to society. A Wealth Tax is one of a package of measures, including the introduction of a Living Wage and company-wide pay ratios, which the Green Party is calling for to address persistent inequality. This is where the issue lies, the NHS is successful as more and more people are using it but it is being underfunded and run-down by governments filled with people who have financial interests in private health care companies. You can’t run the NHS like a business, as there is no such thing as a ‘loss making’ public service – money coming in from government is just not enough to cover costs. The Green Party thinks it’s unfair that public money is being wasted in privatisation schemes, Labour’s private finance deals which equates to buying property on a credit card and paying over the odds for something we could have bought outright is bleeding the NHS trusts dry. Botched privatisation costs over £1billion and we are the ones left with the bill. We will end privatisation and protect our NHS & this includes making dentists free once again! The loss of jobs that has gone with mismanagement of an unsustainable economic model is a criminal waste of talent and aspiration, and has turned life into a daily struggle for survival for millions of us. As top bankers continue to pocket your money in the form of unearned bonuses, factories, firms and farms are forced to lay off more and more workers by the day, week and month. This must end. Our major and immediate priority is the creation of an extra million jobs and training places within a full year of operation of our major investment plan, the Green New Deal. This would address both the employment and the environmental problems. It would consist of a package of measures, including workforce training, investment in renewables, public transport, insulation, social housing and waste management. We’d also end the insecurity of zero hour contracts and ensure that internships pay! When 1 in 11 MPs are related to each other or have ancestors who sat in the House of Commons. Where over 1/4 of MPs were educated at Oxbridge with 1 in 20 having read Politics, Philosophy and Economics at Oxford alone, you have to wonder about political enclaves. If democracy is of the people, by the people, for the people we have to ask who those people represent. We should question if the worldview proliferated by these institutions has provided for People in Poverty Economically (or merely) Protected the Privileged Elite. PPE. Political enclaves put us at a disadvantage as it is here that misconceptions about society form. As Greens we wish to be attentive to those that are rendered invisible by the political process. We understand diversity is comprised of multiple factors as such our values suggest the importance of striking a balance between differing and unequal voices. To vote to stay in! Since 2010 there have been over 70 cases against the UK at the European Court of Human Rights. Cases have ranged from housing, pensions, privacy, taxation, treatment of elderly or vulnerable to our armed forces behaviour in Iraq. Human Rights affect everyone and ensure we are treated fairly. The reasons the Conservatives pledge to get rid of The Human Rights Act (which was based upon the European Convention on Human Rights) is that they don’t like people having any other option to challenge abuses of government power. Not only humans but Green’s have a proven track record of action in Europe on the protection of animals. The EU has obligated our government to clean up our environment, invested in parts of our country that the government has neglected and is currently taking our government to court for illegal levels of air pollution in London.